Mills-Peninsula Hospital Foundation's publication, Peninsula Health highlights donors and news about the hospital. For obstetrical nurses Diane Leeder, R.N., and Christa Profaca, R.N., it was just another day shift last October in the Mills-Peninsula Family Birth Center. For Kari Loeser, a health care compliance attorney at Genentech in South San Francisco, it was the day as she labored to give birth to her first child, daughter Sydney. Kari was starting to think that perhaps she wouldn’t be able to deliver without surgery when the nurses joined Mills-Peninsula OB-GYN doctor, Rebecca Dupont, M.D., in her room. “Diane said ‘We need to get some sun in here’ and opened the curtains,” recalls Kari, who lives in Foster City. Christa, who has worked in labor and delivery for the past eight years, said the credit really belongs to Kari. Kari said she was pleased to find out that she could congratulate Diane, Christa and Dr. Dupont for their “support, encouragement and dedication” through the Guardian Angel recognition program. Leslie Schemel, director of Stewardship Services for the Mills-Peninsula Hospital Foundation, said the new program was started last October. 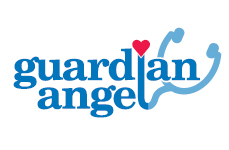 “In addition to relaying a patient’s kind words, the Guardian Angel form provides the option of honoring a nurse, lab technician, volunteer, physician or other caregiver with a gift that will be reinvested in the care they provide,” she explained. Recent patients are invited to honor their caregiver. Their Guardian Angel receives a card with the patient’s message as well as a custom-crafted lapel pin. Diane and Christa both say that as nice as it is to hear from patients, it’s not why they do what they do. Christa, who was inspired to become a nurse by the treatment she received when her son was born 20 years ago, said she’s moved by the fact that women are inspired to honor their caregiver at such a busy time in their lives. “It really touches us,” she said. “It feels good to be honored. But we do our work because we love it,” she said. Christa Profaca, R.N., Kari Loeser & Diane Leeder, R.N. © 2010 Mills-Peninsula Health Services. All rights reserved.